Items must be returned within 30 days of invoice date and must be in original, unused condition. 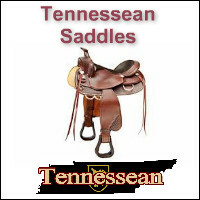 Saddles must be returned within 14 days in unused condition and subject to a $45.00 restocking fee. Please call Matt or Bobby for return authorization on all saddle returns. Include your original packing slip. Indicate on the back of the packing slip whether you would like a refund or exchange. Any return after the above terms will have a 15% restocking fee and an in-store credit only. No returns accepted after 90 days. Shipping will not be refunded on returns. Customers are responsible for all return freight. Ship your parcel to us prepaid. UPS, FED-EX or USPS are the accepted methods of shipment. WE WILL NOT ACCEPT COD! 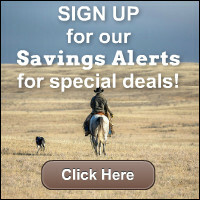 ***There is a restocking fee of $45.00 on all returned saddles. 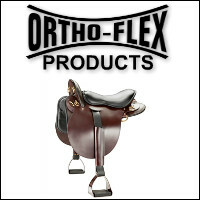 ***There will be an additional restocking fee for any saddle that has free shipping. The fee will be whatever costs the company incurred to ship the saddle to the customer. Due to safety standards and other regulations we cannot accept returns on bits, undergarments, books, DVD’s, feed supplements and wormers. * Shipping and Handling and Return freight charges are not refunded.